It goes without saying that quality is of great importance to us. That is precisely why we put all our energy in 1 motorhome. We chose an alcove for you and our vacation. The term alcove refers to the hood above the cabin, in which a very large double bed is mounted. 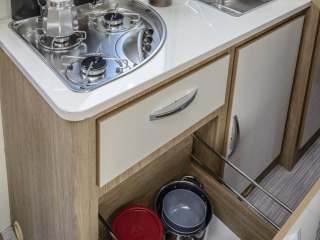 This alcove motorhome offers a lot of living space, but also many sleeping places. 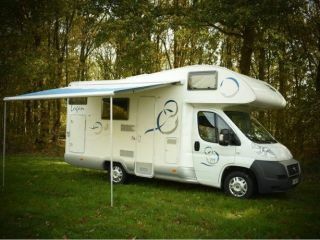 If you are planning a vacation for two, a family or with friends, this motorhome offers 6 seats and sleeping places. The model was chosen between luxury and comfort. 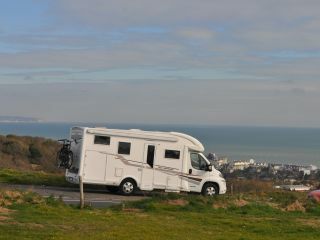 The car is neatly delivered to you, the technical motorhome facts are shared, some advice at your holiday destinations and a well-equipped car ensure the start of a reassuring holiday, ... Our motorhome is equipped with a Fiat engine (130 hp), insured for professional rental and breakdown assistance (VAB). You can drive this car without worry with a B driving license. We make every effort to send you on holiday with confidence. * Sheets and blankets tailored to the mattresses (full set € 45 / rental period) WITHOUT pillows!